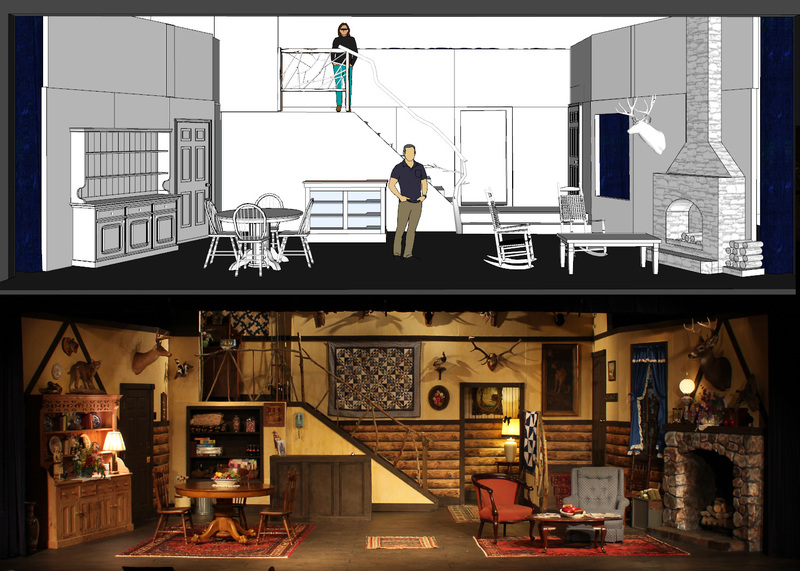 Below is the “before and after” shot of the set. The top image is my original concept design made in Sketchup. The bottom is the finished set. I’m very pleased with the result. I had lots of help with both the construction and the decorating, but I love seeing something from my brain brought to life.